Thanks to all of you for your words of encouragement - and for the words of amazement that I've actually made it this far. To those of you who write or call to tell me you like what you read here - thanks - keep those words of encouragement comin'. They make dealing with the ravages of advancing geezerdom much, much easier. And, to those who don't like what they read here.... well, to each his own. 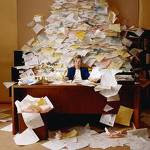 If the stuff you read here causes you heartburn, I have a great solution for you - just stop reading! Or, chomp a few Tums and keep on torturing yourself.. it's up to you. I'm a very, very luck guy. 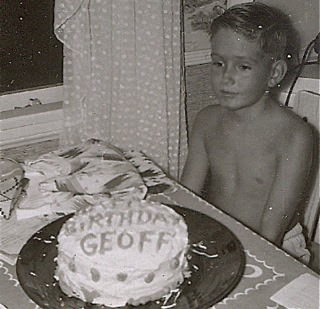 I've have had a great life with a wonderful woman at my side for 44 years and a supportive family and tolerant friends. 6:30, NEIGHBORHOOD COMMUNITY CENTER Just a reminder that Councilwoman Wendy Leece - the lone voice of reason on the dais since January - is hosting a Town Hall meeting on Monday, August 15th at the Neighborhood Community Center, 1845 Park Avenue (between Lions Park, Library and Fire Station. The meeting begins at 6:30 and is scheduled to run until 8:30. I suspect that the discussion will quickly turn to the staffing of the Police Department, and the short-sightedness of the majority on the City Council, who ignored the best professional advice available to them in the form of former Interim Police Chief Steve Staveley - a law enforcement legend - and their own hired guns, consultants Management Partners, to arbitrarily decide to cut the Police Department staffing by more than 20%. I inquired several times last week of Interim Communication Director, Bill Lobdell, to see if CMTV would be covering this event for later broadcast - I know they cannot broadcast live from that venue. The latest word as of 1:40 today is that CMTV WILL NOT be covering this event. Lobdell told me they have limited resources and, besides, this was just going to be about public safety, not a "Feet to the Fire" forum. And, he said, he didn't want to set a precedent in case other council members wanted to conduct their own Town Halls. OK, I can understand the "limited resources" part of that, but the rest is totally bogus. In a city where the public safety resources are stretched to almost the breaking point, and are without the force multiplier of the now-defunct A.B.L.E helicopter program, it's hard to imagine any single issue more important to the residents of this city than their safety. In my opinion, this is a very short-sighted position to take and certainly does not serve the residents, businesses and visitors to our city well. When I inquired about what it would cost if I offered to pay for CMTV staff to cover this event and subsequently post it on the City web site and place it into the rotation on CMTV I received a stiff-arm. I guess "transparency" is just a word, not a course of action. Interim Communication Director Bill Lobdell distributed a Press Release with the following title, "City to add employee association representatives to outsourcing process". 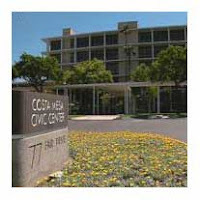 In a nutshell, in response to a letter by Costa Mesa Employee Association President Helen Nenadal earlier this month, CEO Tom Hatch has formed Contracting Committees, that will include employee association representatives, to research the viability of outsourcing some City Services. You can read the entire press release, including the attached letter to Nenadal and the city policy HERE. The three Reque sts for Proposals (RFP) that have been distributed, video production, animal control services and building inspection services, will be recalled and reviewed by the new committees, who "will explore the benefits of outsourcing each particular service." There will also be a Contracting Committee established to review the RFP for jail operations that had been prepared by the Police Department staff. It seems to me that this is an excellent step - but one that should have been taken months ago. Had this plan been announced simultaneously with the announcement of the outsourcing plan it might have taken some of the sting out of that announcement. We'll never know. I'm looking forward to seeing just how this process plays out and hope that, with the calm deliberations by the committees, ways may be found to avoid outsourcing some or all of the operations previously announced for elimination. I'll be unable to post comments for a few hours... be patient. I, along with about 20 of your friends and neighbors, attended the Special Parks and Recreation Commission meeting tonight at City Hall. I spoke with many of the attendees - none of whom can figure out why this "special" meeting was called because there seemed to be nothing on the agenda that could not have waited until their meeting in September. The commission voted unanimously to recommend to the City Council that Civic Center Park - that large patch of grass and trees between the Police Station and Fairview Road - be re-named for former mayor, councilman and Pearl Harbor attack survivor, Jack Hammett. I can find no fault with this decision. He certainly deserves to have this recognition in perpetuity. 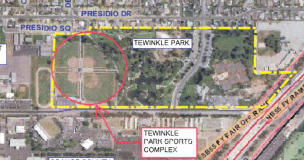 When it came time to consider the proposals presented by three respondents to the recent solicitation for qualifications to operate a public/private partnership at the TeWinkle Park Sports Complex the audience was dazzled by their presentations. Each group was experienced and professional. Each gave us, more or less, a good overview of how they planned to run the operation. Some had more detail than others. Two of them proposed a restaurant selling wine and beer at the complex - a fact that didn't sit well with some of the residents who spoke later. We were left wondering, as some of us had been doing before the meeting commenced, just why this presentation was made at all. To us it seemed out of sequence. First, there should have been some kind of community outreach to determine the feelings of the contiguous neighbors - that was not done. Even so, there should have been made available to the audience copies of the proposals by the respondents. 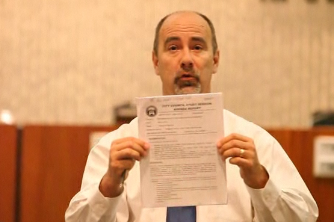 We are promised that information will be available on the city web site Thursday. We'll see. At the end th e commission decided that some kind of a task force or committee, comprised of staff, commissioners and community members, should be formed to more fully flesh-out this issue before moving forward. Public Services Director Peter Naghavi advised the council that the staff will prepare a report for their next meeting that would outline the possible responsibilities of such a committee and a possible structure for it. The commission made it official by voting to direct staff to do exactly that and have it ready for their September 28th meeting. WILL THIS VIOLATE THE INJUNCTION? It seemed to me and several others at the meeting, that this is all about dollars. Appar ently Mayor Gary Monahan requested at least one of the respondents to present a pitch. Since each of the proposals included complete maintenance of the site, it will certainly cost some city jobs. We're wondering if this violates the terms of the injunction currently being enforced. It seems like it. 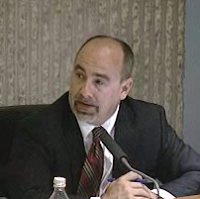 At the very end of the meeting commissioner Ethan Temianka - Jim Righeimer's former campaign manager who also shares a business address with Righeimer - asked that staff bring back the issue of how many members playing in a park constitute a "team" and require a permit. He mentioned that it is currently 10, but wanted to lower it to 5 "or some other number". I wonder what the heck that is all about? It sure sounds like an echo of Costa Mesa's racist laureate when he demanded that marauding soccer players, who he said were creating a dangerous situation at Paularino Park as they kicked a soccer ball around after work, be banned. 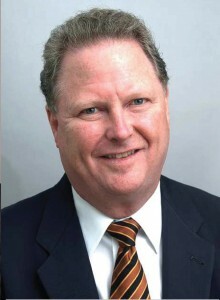 He succeeded in conning the council at the time into making Paularino Park a "passive park" and having the current rules about 10 or more players requiring a permit. If Temianka wants to forbid six pals from kicking a soccer ball around - or playing a pick-up game of over-the-line - one must wonder what the heck he's doing on the Parks and Recreation Commission. Today, in a Press Release from Interim Communication Director Bill Lobdell, City CEO Tom Hatch introduced the new, improved municipal employee compensation report, which is described in the title of the press release as "one of the most detailed municipal employee compensation reports in the U.S." You can read the report HERE. It will also be linked on the City website for your future reference. In keeping with its pledge of transparency, the City of Costa Mesa today published one of the most extensive municipal employee compensation reports in the United States. The 27 page report details the total compensation of 752 full-and part-time City employees - including Costa Mesa's five council members. the employee's pay and benefits are broken down into 14 categories, including base pay, overtime pay, specialty pay, certification pay, leave payouts, health benefits, and City pension contributions. The document also provides definitions for each category of pay and pension contribution, bringing additional transparency to the report. The City undertook the revisions after receiving input from residents and staff on how to improve the original report, which was published on the city's website in 2010. "I'm pleased that Costa Mesa has become a leader in providing detailed, easy-to-understand public information to the community," said City Chief Executive Officer Tom Hatch. "This employee compensation report can serve as a model for other cities to follow. It's not the easiest trail to blaze given the sensitivity over individual salaries and benefits, but it was the right thing to do for the public." I guess I'm OK with the City providing this information, but as an old Human Resources professional, it bothers me that the confidentiality of employee compensation has been so dramatically violated. I fear that, instead of answering questions a few members of the public might have had, the dissemination of this amount of detail will only generate more questions and criticisms, most of which will be "I don't make that kind of money, why should they?" Envy and greed will almost certainly dominate the comment threads that this information generates. We'll see. One thing is certain, the publication of this information (again), and the detail provided, will continue to play into the hands of those in our city who feel the employees are greedy and that their compensation and benefits are the root of all evil in this town. Those people - Jim Righeimer, Steve Mensinger and their sycophant, Colin McCarthy and his Costa Mesa Taxpayer's Association - will continue to use these numbers - or, rather, segments of these exhibits - to fan the flames of discontent. One byproduct of that action will be the praise of Scott Baugh, John Moorlach and the rest of the OC GOP hierarchy who are trying to use our city as a petri dish for pension reform. 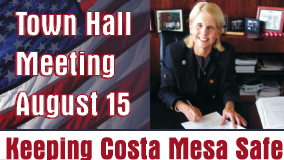 In case you hadn't heard, a special meeting of the Costa Mesa Parks and Recreation Commission was called late last week. As you may know, that commission only normally meets every other month, with the next scheduled meeting to occur September 25, 2011. This meeting will be held this week, on Wednesday, August 10, 2011 at 6:00 p.m. in the City Council Chambers at City Hall. There are two interesting items on the agenda for this special meeting. The first is the discussion of naming a park for former mayor Jack Hammett, something that was proposed by Mayor Gary Monahan at the last City Council meeting. Among the existing city parks proposed for the re-naming are: 1) Farm Sports Complex, 2) Brentwood Park, 3) Del Mesa Park and 4) Civic Center Park. You can read the staff report with recommendations HERE. The second item on this agenda may be the reason for the urgency, although no indication is given in the staff report for calling the special meeting. This item is a review of the "Statement of Qualifications (SOQ) for the Upgrade, Operation and Maintenance of the TeWinkle Park Sports Complex", the staff report for which can be read HERE. Three firms have submitted Statements: Big League Dreams USA, LLC; Major League Softball, Inc., and Sportsplex USA, although those statements are NOT available for review. Only their names are provided, with no background at all for us to consider. We also have available a copy of the SOQ and Interview Questions theoretically asked of each interested party. If we assume that the Parks and Recreation Commission will also NOT have the responses submitted by the interested organizations, I wonder just why this is on the agenda? How can the commission possibly make any decision about referring this issue to the City Council for action if they don't have the information available? If they DO have it, why don't we have it available for review? This is the second time in as many weeks that staff reports have been presented before sufficient information was available for a decision to be made. At last week's council meeting two items were removed from the agenda - I assume it was for that reason because they were incomplete. We pointed that out at the time. I fear this may be a symptom of the "new way of doing business" at City Hall, where haste, not accuracy, is the motivating factor. It may also be due to the departure of so many senior staffers - folks that would have caught those mistakes in the past. If so, it's another sad byproduct of the current regime. Today Orange County Employee's Association (OCEA) General Manager, Nick Berardino - recently appointed by Governor Jerry Brown to the 32 District Agriculture Association Board (Orange County Fair Board) - announced that he has requested the Orange County Fair and Event Center Board Chairman, Dave Ellis and President and CEO Dr. Steve Beazley - to agendize two items on the August 25, 2011 Fair Board meeting. Berardino asked that a Fair and Events Center Citizen Oversig ht Committee be created "to investigate and issue a public report regarding to the proposed sale of the Fairgrounds". He suggested that the committee "would compile and review all information related to the proposed sale, including but not limited to all related documents, emails, records, minutes, memos and contracts" and prepare a report within 180 days of its formation. Berardino suggested that such committee would "be comprised by two members each from the following constituencies: Orange County Fair Preservation Society, Orange County Fairboards Equestrian Center, Orange County Market Place vendors, Orange County Business Council, Orange County Fair and Events Center Executive Management and the bargaining unit representatives." I saw no mention of anyone representing the public at large nor the City of Costa Mesa, which was a major player in the "Fairgrounds Sale" drama until being left standing at the alter by Facilities Management West. He also requested that the Board consider his "request to engage the services of a com petent forensic auditor to conduct a forensic audit of fairgrounds operations and transactions for the past three years". He went on to say that this forensic audit would, "lift the veil on any actual or perceived secrecy, and help us become a more transparent and accessible Board". It's going to be very interesting to see just what kind of a reaction these requests generate from Chairman Ellis and the other members of the board. We'll find out in a couple weeks.